The great African continent has for millennia been a kaleidoscope of wildlife arenas. Desert, jungle, rivers and mountains merge together to create one of the world’s most variegated regions. Now East Africa – This is where your love affair with Africa will hold and never to let go. Wildlife (big cats especially) and wilderness rank among the grand passions of East Africa Safaris and it was here that you’ll see lions on the march, cheetahs on the hunt, leopards on a kill, where you come so close to elephants, black & white rhinos and the magnificent mountain gorillas that you’ll reach out to touch them. And this is the home of Maasai friends, Karimojong and Batwa who’ll give you hope that the old ways can survive. A wild realm of extraordinary landscapes, peoples and wildlife in one of our planet’s most beautiful corners. Why East Africa should be your next destination. This is the land of the Albertine and the Serengeti, of an immense red sun setting behind a flat-topped acacia somewhere out beyond eternity. Here on the African savannah, the world remains as it once was, unspoiled by the human presence. Nearby, rising from the Rift Valley floor are the Rwenzori Mountains, Mt Kilimanjaro, the Crater Highlands, Mt Meru, Mt Kenya and the Ngorongoro Crater. By climbing these peaks on foot, by scaling the Rift, you add your own footprints to Africa’s marvellous human story and explore in ways unimaginable to those who never leave their vehicles. Welcome to the true home of the African safari. This is untamed Africa, where wildebeest, shadowed by zebras, stampede in their millions across the earth, where lions, leopards and cheetahs, hyenas and wild dogs roam free in search of their next meal. Such stirring scenes of life and death, such overwhelming scenes of abundance coexist with scenes of surprising fragility, among them chimpanzees and the powerful yet gentle silverback male gorilla forced with their families into remote islands of forest. To draw near to such wildness is to experience something so profound as to live forever in the memory. The mist-covered Virunga mountains, on the borders of Rwanda, Uganda and the Democratic Republic of the Congo (DRC), are home to the world’s last remaining mountain gorillas (ABOUT 880), and seeing these gentle giants at close range is a highlight. To get here, you will need to work, trekking up slippery, steep, densely vegetated slopes. But the thrill of suddenly finding yourself admitted into the gorillas’ world more than compensates. Wherever you go, don’t miss the chance to get to know East Africa’s people. Whether you’re exploring Maasailand accompanied by the aloof dignity of red-shawled Maasai warriors, or standing in solidarity with victims of genocide at the sobering Kigali Memorial Centre, or hunting with the ancient Batwa people of Bwindi Forest, there are countless opportunities to immerse yourself in the everyday beauty, realities and vibrancy of East African life. It is, after all, East Africans themselves, with their warmth, hospitality and unique way of looking at life, who are at the heart of the region’s legendary allure. In few places do fascinating human cultures come together quite so agreeably as they do along East Africa’s Indian Ocean coastline. Travel back in time to the days when this part of the world was at the centre of a far-flung trading network whose influences – African, Asian, Middle Eastern – continue to dance their way through modern Swahili culture. From Lamu to Zanzibar and just about everywhere in between, you can also relax on white-sand beaches, dive amid colourful marine life or sail on a dhow (ancient Arabic sailing vessel). Some might call it paradise. Let your safari planning begin here with a few hand-picked safari destinations to inspire your wanderlust. We pick those that we have expert guidance to give you the best safari holiday. Bwindi Impenetrable National Park, the ancient rainforest is the home of roughly half of the world’s remaining 880 mountain gorillas. Looking deep into the expressive brown eyes of the gentle giants is surely the most exciting wildlife encounter in Africa. Murchison Falls National Park derives its name from the Murchison Falls where the mighty River Nile explodes through a narrow gorge and flows down to become a placid river whose banks are thronged with hippos, crocodiles, waterbucks and buffaloes. From open savannah to rainforest, from dense papyrus swamps and brooding crater lakes to the vastness of Lake Edward, it is little wonder that this park boasts as one of the highest biodiversity ratings of any game park or reserve in the world!!. Kibale Forest is the most accessible of Uganda’s major rainforests and is home to a remarkable 13 primate species, including the localized red colobus and L’Hoest’s monkey. Kibale is one of the last remaining expanses to contain both lowland and montane forests. Lake Mburo National Park is an increasingly common stop on the safari circuit as it’s the only place in southern Uganda to see zebra. It’s also the only park in the country with impala, slender mongoose and giant bush rat, and is a great place to look for hyena, leopard, topi and eland. As well as being important for wildlife & mountain gorillas, the park also has a huge cultural significance, in particular for the indigenous Batwa pygmies. This tribe of hunter-gatherers was the forest’s “first people”, and their ancient knowledge of its secrets remains unrivalled. In the 1960’s Volcanoes National Park (PNV) was the base for the American naturalist Dian Fossey to carry out her research into the gorillas.Spanning on a 160sqkm area in the northern part of Ruanda, Volcanoes national park is the oldest national park in Africa. Isolated from the Ugandan mainstream by the harsh plains north of Mount Elgon, Kidepo Valley is one of Africa’s last great wilderness areas, a tract of rugged savannah dominated by the 2,750m Mount Morungole and transected by the Kidepo and Narus Rivers. Also known as the fabled Mountains of the Moon. 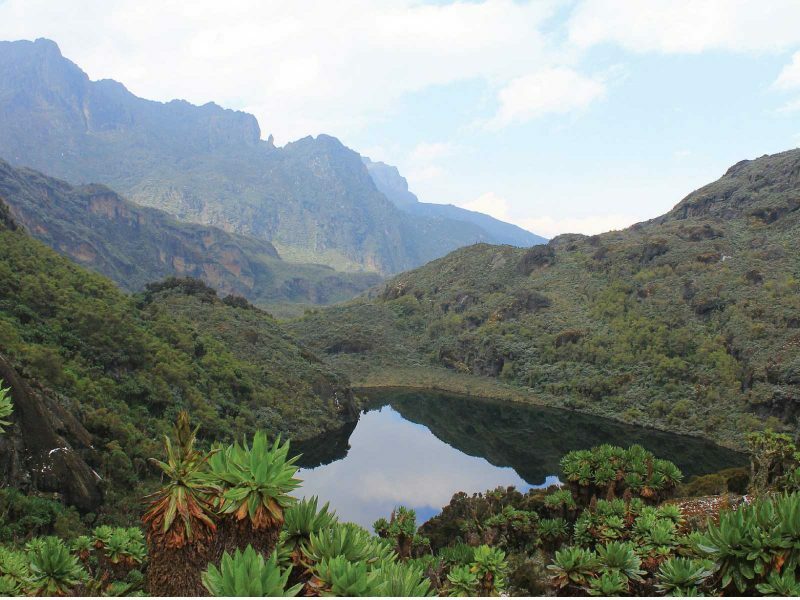 Rwenzori Mountains lie in western Uganda along the Uganda-Congo border. The equatorial snow peaks include the third highest point in Africa, while the lower slopes are blanketed in moorland, bamboo and rich, moist montane forest. 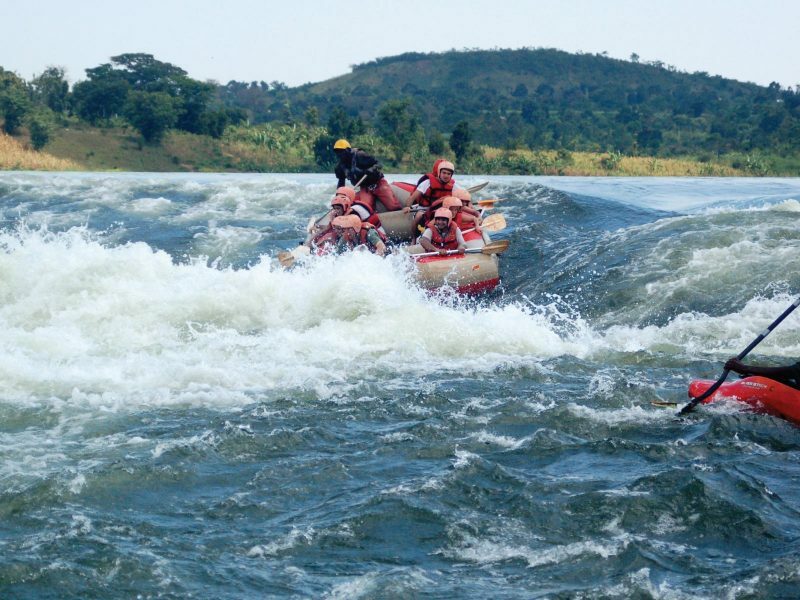 Famous as the historic source of the Nile River, Jinja is these days the adrenaline capital of East Africa. Here you can get your fix of whitewater rafting, kayaking, quad biking, mountain biking and horseback riding in a town with a gorgeous natural setting and some wonderful, crumbling colonial architecture. Ziwa Rhino Sanctuary and Wildlife Ranch is the proud home of the only wild rhinos in Uganda and is located in Nakasongola. The Rhino reintroduction is a project of Rhino Fund Uganda and Uganda Wildlife Authority. 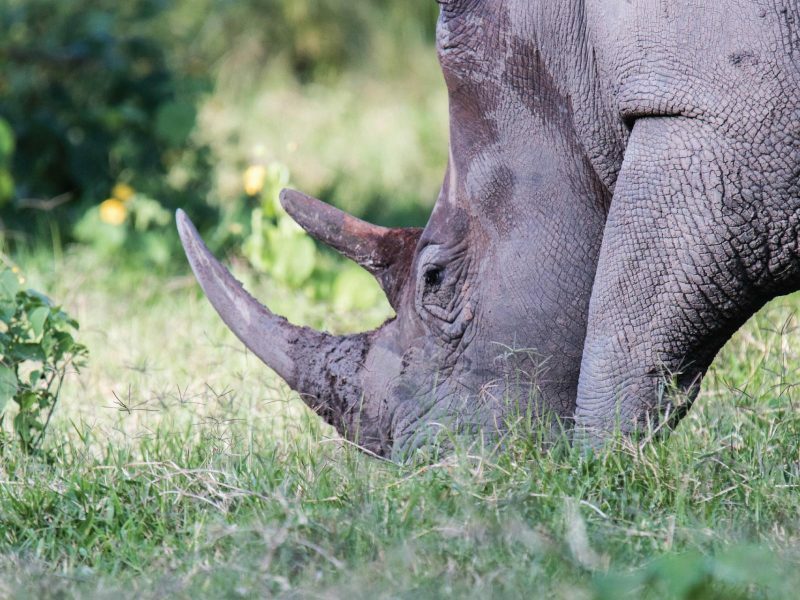 The sanctuary offers a secure place where rhino populations can be expanded by breeding. 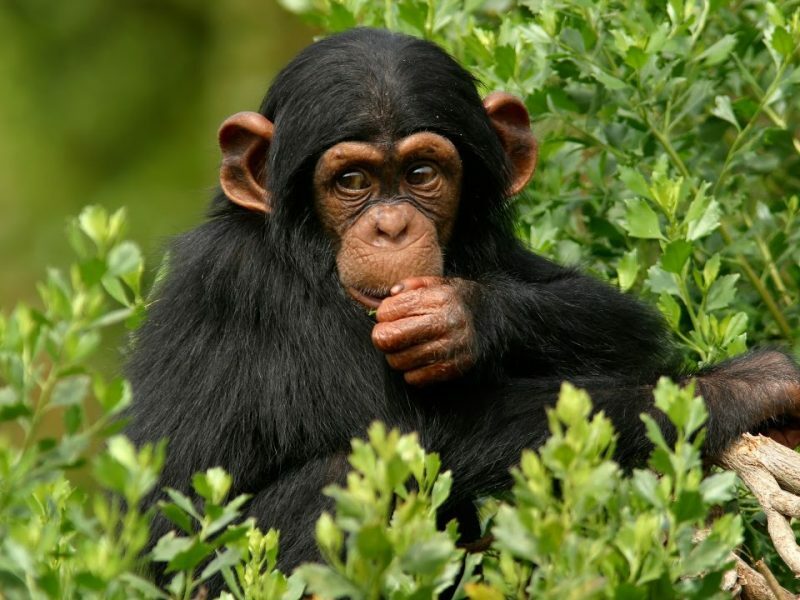 ProvidING a safe home for orphaned and confiscated chimpanzees, to care for the environment on Ngamba Island Chimpanzee Sanctuary. Ngamba Island is part of the Koome group of islands located in Lake Victoria (which also includes Kiimi, Nsazi, Koome, Bulago and Damba Islands). East Africa is still a great travel gem to be discovered, filled with abundant wildlife, diverse aquatic life and some of the world’s best beaches and friendliest people. Lets us take you there.